Swiss Army Man is going to the Sundance Film Festival next year. There's a new Google+ post on Daniel's official page, with a quote from Dan linking to an IndieWire article. Hi Everyone! SWISS ARMY MAN is going to Sundance! The film is a US dramatic competition entry. 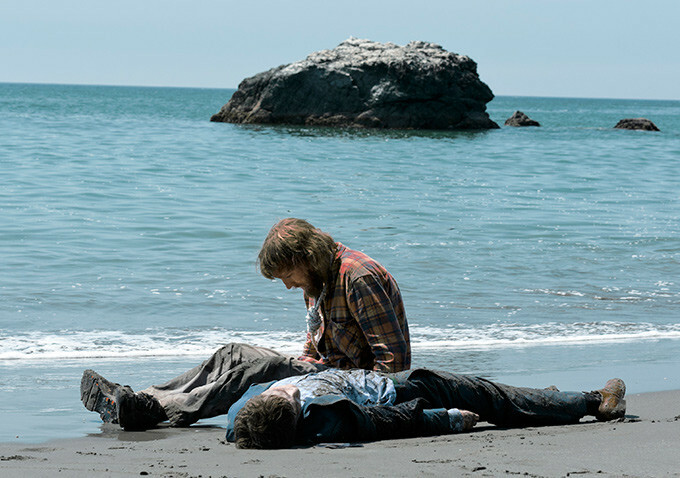 Swiss Army Man / U.S.A. (Directors and screenwriters: Daniel Scheinert, Daniel Kwan) — Hank, a hopeless man stranded in the wild, discovers a mysterious dead body. Together the two embark on an epic journey to get home. As Hank realizes the body is the key to his survival, this once-suicidal man is forced to convince a dead body that life is worth living. Cast: Paul Dano, Daniel Radcliffe, Mary Elizabeth Winstead. World Premiere.